From the very opening strum of her guitar, Julie Ann Bee, a.k.a. 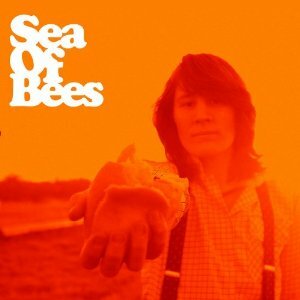 Sea of Bees is back with a collection of songs both charming and dynamic. Last summer The Owl Mag had the pleasure of interviewing Bee about her upcoming album. Bee mentioned to us that her goal for this album was to create tunes filled with texture; and that is precisely what she’s done. While this sophomore release moves slightly away from Sea of Bees’ signature pop-folk sound, it hasn’t strayed so much that they’ve lost their way. On stellar tunes like “Teeth” and “Smile,” Bee’s voice floats and flutters over fuzzy, dreamy instrumentation. “Give” is perhaps the most uncharacteristic track on the album as Bee’s subtly echoing voice meanders among a swaying drum and bass rhythm. From track to track, it becomes clear that Bee’s voice is truly the centerpiece of her project. Her spritely crooning is uplifting, heartbreaking, and sunny all at once. Even with two albums and extensive touring under her belt, we can still hear Jules’ humble beginnings in every lyric that slips past her lips.